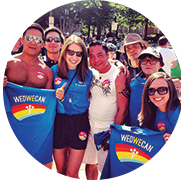 Wed We Can celebrates the unions of all loving couples, regardless of sexual orientation or gender identity. We provide the resources and updates to stay on top of the leading wedding planning tools and access to LGBTQ-friendly wedding professionals, as well as the latest education and events surrounding the Wed We Can movement toward marriage equality. 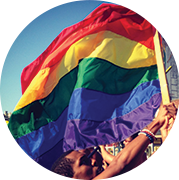 We offer information, community resources, and inspired ideas for everyone —from the lesbian, gay, bisexual, transgender, queer (LGBTQ) community and its straight allies to wedding professionals and engaged couples.